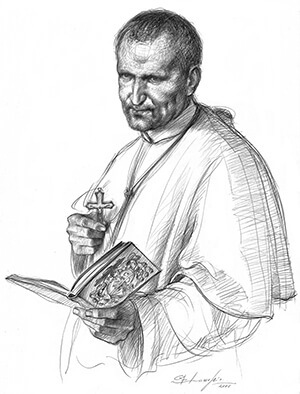 Alphonsus Maria de Liguori, the founder of the Redemptorists, was born in 1696 near Naples, Italy, the son of a captain in the Royal Navy and a very devoted mother from a noble family in the city. His parents provided him with an exceptional education in philosophy, literature, and the arts. He was 16 when he was awarded doctorates of civil and canon law.